Dr. Victor Han is an internationally recognized clinician scientist in Neonatal-Perinatal Medicine. He received his medical degree from the Institute of Medicine, University of Rangoon, in 1973. He trained in Paediatrics in Universities of Southampton and Oxford, UK, and in the subspecialty in Neonatal-Perinatal Medicine at the University of Western Ontario. He then received research training in molecular biology and biochemistry of insulin-like growth factors at the University of North Carolina, Chapel Hill, between 1983 and 1987 as an MRC Research Fellow. He has received specialist certifications in Pediatrics in the United Kingdom (FRCP), Canada (FRCP) and United States (American Boards), and a sub-specialist certification in Neonatal-Perinatal Medicine in United States (American Sub-Boards). 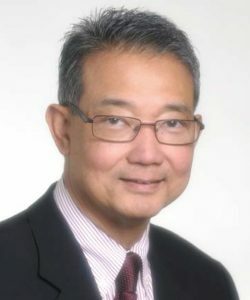 Dr. Victor Han is a Canada Research Chair Tier 1 in Maternal and Fetal Health since 2001, the Chair of the Division of Neonatal-Perinatal Medicine since 1997, the Director of the Children’s Health Research Institute since 1999, and the Douglas and Vivian Bocking Chair in Fetal and Newborn Growth since 2003. He was elected to the Fellowship of the Canadian Academy of Health Sciences in 2010. Dr. Han has served or is serving in many MRC/CIHR committees related to the selection, training and support of successful clinician scientists and provincial and national peer review committees for research. His research is focused on molecular mechanism of normal and abnormal fetal and neonatal growth and long-term adverse outcomes of low birth weight.